6" x 6" x 12" Steel frame wall mounted gardening pot, husk. great for window ledges. 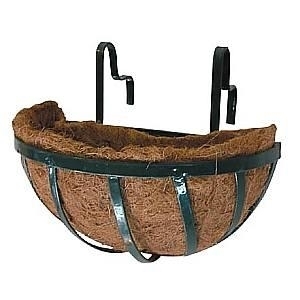 These gardening pots are made out of coconut husk fibers which makes them 100% natural biodegradable. The plant can be planted in soil along the pot and it will decay in the soil. It is used in tree nurseries as well as domestic gardening of plants that need some extra care. We have years of experience working with gardening tools and instruments and we promise user satisfaction. 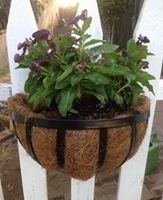 With free shipping over bulk buying, we offer the best deals for quality gardening products. Our prices are extremely economical with a promise of highest quality material and best value for your money.